FC Bayern München and Germany No.1 Manuel Neuer has been voted the World's Best Goalkeeper for the third time in a row, as well as being named in the 2015 UEFA Team of the Year alongside Bayern teammate David Alaba. 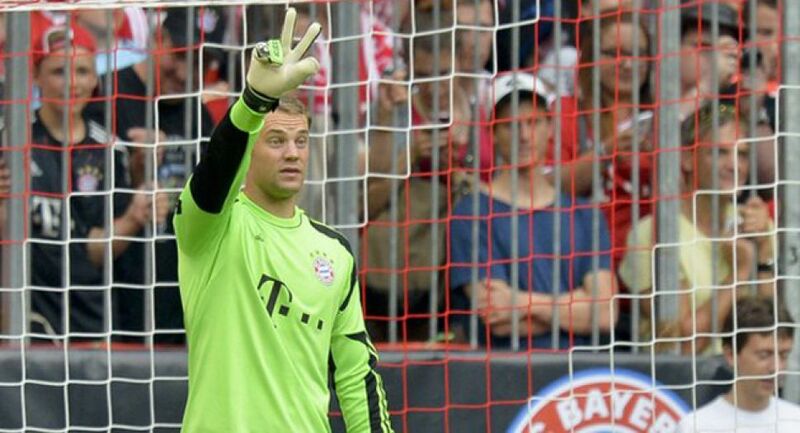 Click here for our mini site dedicated Manuel 'the Wall' Neuer. The 29-year-old custodian received 188 votes in the annual poll published by the International Federation of Football History & Statistics (IFFHS), 110 more than Juventus's Gianluigi Buffon, who came in second place with 78 points, and 143 ahead of the 45 points accumulated by FC Barcelona's Claudio Bravo. "Obviously I'm delighted to make it a treble, but winning titles with the team is the most important thing," Neuer told club website fcbayern.de from the Bundesliga leaders' winter training camp in Doha. "That's what we're here for." Neuer joins Bayern legend Oliver Kahn (1999-2001) on three World's Best Goalkeeper crowns, with only Buffon (2003, 2004, 2006 and 2007) and Spain's Iker Casillas (2008-2012) winning more. Get the lowdown on the lucky 15-year-old rubbing shoulders with Neuer and Co. in Doha.